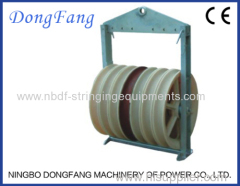 Conductor Pulley Blocks are widely used in overhead conductor stringing operation. 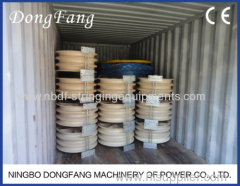 The wheels of pulleys are made in aluminum alloy or high strength nylon, the central wheels can be made in high strength steel. All the wheels are mounted on ball bearings. 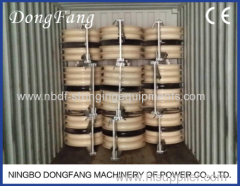 We have designed conductor pulleys for single, two bundled, three bundled, four bundled, six bundled, eight bundled conductors stringing. Our conductor pulleys have been used in more than 40 countries in the world. 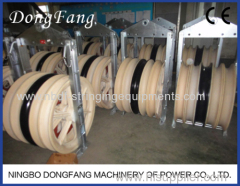 Single Conductor Pulley Blocks are used for single conductor or Optic fiber cable stringing on overhead transmission lines. Poleas De Tendido de Conductores estan fabricantes de aluminum o nylon, para usado en lineas transmision. 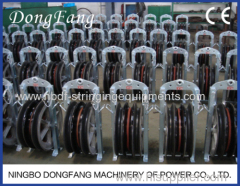 Running out Blocks are used for overhead conductors stringing on distribution and transmission power lines. All the sheaves are mounted on bearings. 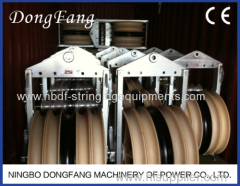 Balance Head Boards are used for two or three conductors stringing on overhead transmission lines. 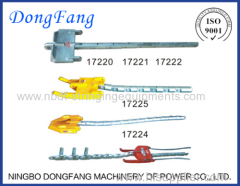 It is used with 3 sheaves stringing blocks. 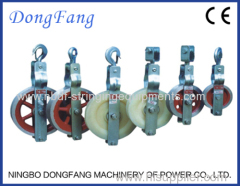 Group of Conductor Pulley Blocks has been presented above, want more	Conductor Pulley Blocks and Bundled Conductor Pulleys Blocks, Please Contact Us.